GTA - YORK MARKET SUMMARY | MARCH 2019 •	The GTA - York single-family luxury market is a Buyer's Market with a 7% Sales Ratio. •	Homes sold for a median of 94.67% of list price in March 2019. •	The most active price band is $1,500,000-$1,599,999, where the sales ratio is 15%. 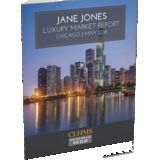 •	The median luxury sales price for single-family homes has decreased to $1,750,000. •	The median days on market for March 2019 was 21 days, down from 29 in February 2019. 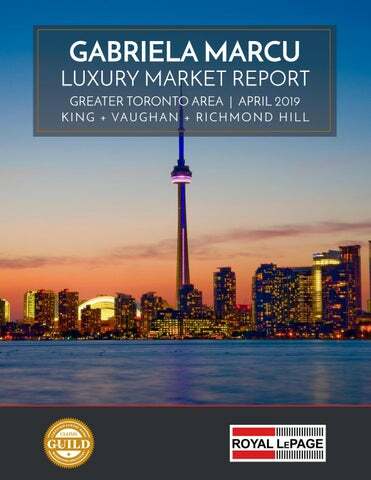 GTA - YORK MARKET SUMMARY | MARCH 2019 •	The GTA - York attached luxury market is a Buyer's Market with an 11% Sales Ratio. •	Homes sold for a median of 98.41% of list price in March 2019. •	The most active price band is $1,100,000-$1,149,999, where the sales ratio is 200%. •	The median luxury sales price for attached homes has increased to $755,000. •	The median days on market for March 2019 was 16 days, down from 30 in February 2019. Thank you for taking time to view this report. For more information about this report and the services I can offer you and your luxury property, please give me a call at 416.568.3912.